Here we are again. Monday morning, and it’s snowing here. I thought Winter was done. What the hell? It’s been a long since I’ve properly played Destiny, I needed a break from it for a few weeks. But on Friday I’d arranged to go over to my friends and get back on to it. We started off the night playing this week’s Nightfall strike, but after a few silly deaths and one disconnect with Omnigul at about 1/10 health we gave up, and moved on to the Crota’s End raid. I’ve been through the majority of the raid many times, but I’ve never actually managed to down Crota, so I was determined to finally get it done. We managed to join someone who was on the bridge section which is the 2nd of 4 parts of the raid. We got through it quickly and through the Thrall corridor in no time. As there were only 3 of us, I didn’t really fancy our chances of getting it done, so we scouted around for a few more players. We managed to get up to 5 players pretty quickly. Now the 6th person, I don’t know who he was, but he very nearly ruined the whole experience for us all. Straight from the off he was on our backs, questioning why we had level 30’s in our team (he thought we were on Hard mode for some reason). Then he was on our sword carriers back after she messed up a couple of runs, but the kicker was that he didn’t know how to do it himself. He was basically being a complete knob. Thankfully he left after we wiped a few times. We regrouped and one of our team managed to enlist the help of his friend. As soon as he was in, everything was fine, everyone was happy and enjoying themselves. We talked about roles and our strategy like normal people, and within about 10 minutes we had Crota down, and I had finally completed the raid. 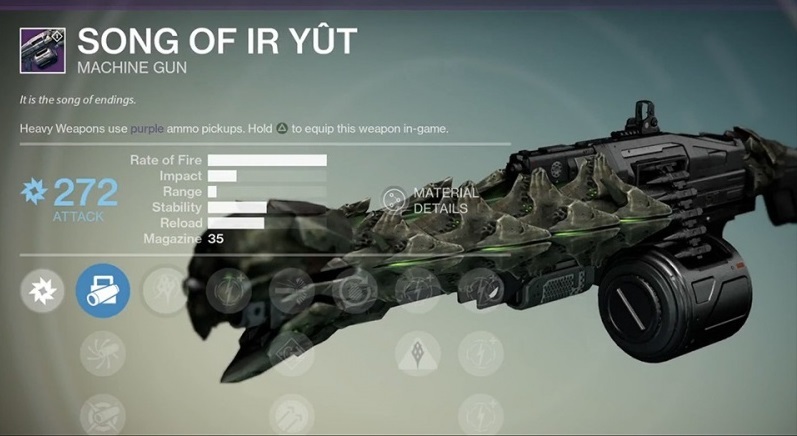 For my efforts I was rewarded with the Song of Ir Yut, which is a legendary heavy machine gun and a pretty good one I’m told. It also completed my collection as I now have 3 heavy machine guns all with different damage types ready to tackle anyone. This is why I can understand Bungie not wanting to put in matchmaking for raids, as I think it would create a lot more cases like Friday, where people just don’t click and don’t get along. As I’m sure a lot of you are aware, there was a pretty good Xbox sale on last week, and me always on the lookout for a bargain picked up Sniper Elite 3 for £10. So on Saturday morning I tried it out. I’d previously played Sniper Elite 2, and really enjoyed it, so was quite looking forward to this one. As I’d expected it was much of the same really, sneaking around taking out enemies, and getting to vantage points to put my sniper rifle in to action whilst using surrounding sounds to cover my shots. 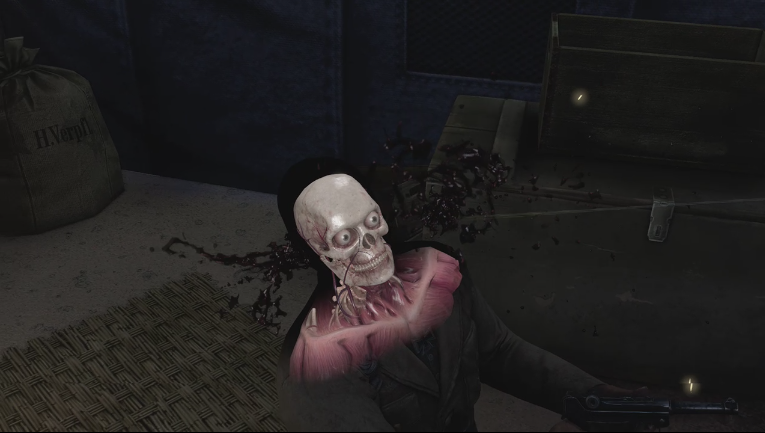 Sniper Elite 3 sees you heading to Libya to thwart another Nazi plan. I’m actually only two missions in at the moment so I’m not really sure what the rest of the plot is, but I know it’s going to involve a lot of sniping and a lot of headshots! So far so good. I will report back when I’ve played some more of it! I’ve also decided, because I’ve been playing a lot of DayZ again, that I’m going to start a new diaries series. So I made a start on this Saturday afternoon. This time I’ve decided to play it entirely on 1st person only servers, just to make it a little different, so keep an eye out for season 2 Episode 1 coming soon! Like I said I’ve been playing a lot more DayZ recently, and I finally got around to finishing off a video I’ve been working on, the Green Mountain Massacre. Check it out below. After reminiscing about our favourite maps the other week, I was in the mood for playing some Counter Strike. The thing is though, is that I haven’t played proper FPS games on PC in years, so I’m pretty diabolical at them at the moment. Either way, I joined up with some friends and we played some games of Demolition. I pre-warned them that I wasn’t very good. However there was one particular game where I was pretty impressive. Basically all my team were dead, it was just me left to fend off the remaining terrorists (3 in total, I think). With a little guidance from my teams mates I managed to take them all out and win us the round. That is literally the best thing I’ve done in this game. Probably not that impressive to some, but I was very pleased. I also started reading again this weekend, which is something that I’ve really fallen out of doing recently. I picked up Aliens: River of Pain, because Aliens is awesome and what could be better than more Aliens. The book tells the story of Hadley’s Hope on LV 426, before everything went to crap, and before Ripley and the Colonial Marines turned up to see what was up. Being a huge fan of the film and the series in general, I found it really easy to get in to, as the world is all instantly recognisable. It also runs in parallel to the events of Ripley being rescued and the inquest in to what happened to the Nostromo. If you’re a fan of the Alien franchise I’d recommend it. Friday night I had arranged a night out with my wife, my brother and sister in law. We went to their neck of the woods and had a nice curry followed by copious amounts of alcohol. By midnight my wife went back to my brothers house, but I stayed out as I had somehow got involved in a darts competition at his local pub with his friends. I’m terrible at darts, but it was quite surprising to make it to the final 4 in the first one we played. After that I was then informed by my brother we were going to be ‘locked in’. So this was my first experience at a pub lock in. The landlord still happy to serve us till the stupid hours of the morning. I ended up getting home at around 4:30am much to my wife’s anger. I still had fun. Saturday though was not so fun based on the amount I consumed Friday night. I already knew when I woke up Saturday was a write off to do anything so I remained bed bound. With that being the case I decided to watch various shows. I first satisfied my anime urge that had kicked in after discussing One Piece with a work colleague on Friday. I went through the first 7 episodes of this. I then switched to one of Disney Channel’s latest and greatest cartoons in Gravity Falls, re-watching a few episodes from season 1. Then finally things took an odd change. I’ve been subscribed to the WWE network all year so far and have enjoyed all the original content that they put on. I had yet to dive into Total Divas but finally took the plunge. Wow… I was legitimately hooked to it. I ended up doing a marathon notching up 4 episodes back to back. As for Sunday feeling slightly better I confessed to my wife that I had started watching Total Divas. The thing is I’ve slowly been getting her to watch more WWE, pushing NXT on her and more memorable matches from 2014. My wife also happens to be dieting a lot of the time for who know’s why, so I mentioned that she may like Total Divas as the women on there are in shape, and it shows their workout routines and such and she may be inspired further. A very dodgy way to go about convincing you’re better half to watch a WWE Program but she agreed to try it. Once the episode I put on had finished I asked her…”Did you like that?”, She sighed and then said in a disappointed way…”yes”. So that was that, We did another 4 episodes back to back. I then picked up 2 PS4 games I’d not played in a while in NBA2k15 & GTAV. I’ll be uploading some GTAV videos of interest in the not to distant future. And then to end the weekend off I stayed up till 4am this morning watching WWE Fastlane which we’ll have results for here shortly.